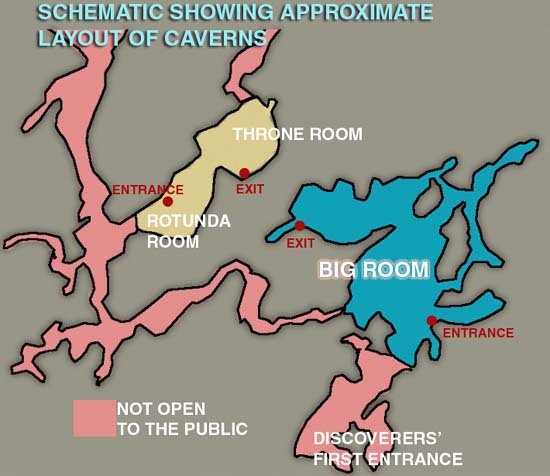 This map gives a sense of the extent of Kartchner Caverns. The Big Room,where my photographs were made, covers an area of about 1.7 acres. The Throne Roomand Rotunda Roomtour is separate from the tour of the Big Room. Tours are by reservations made by contacting the Arizona State Parks.